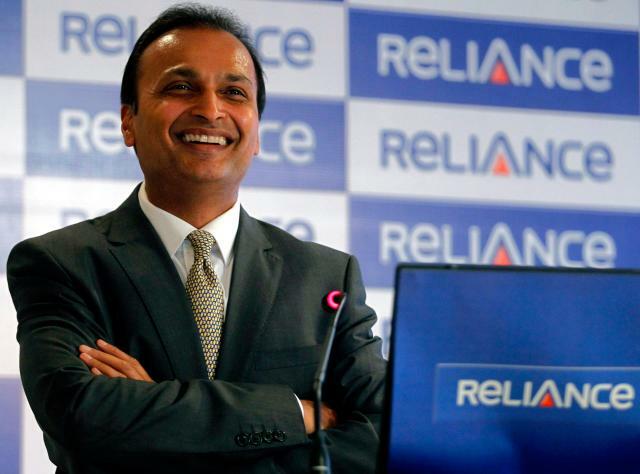 Anil Ambani-led Reliance Group has come in as a partner in a new global media entertainment joint venture with ace Hollywood director Steven Spielberg, Jeff Skoll's Participant Media and LSE-listed Entertainment One. Christened Amblin Partners, the JV will create content using the Amblin, DreamWorks Pictures and Participant brands and leverage the network for distribution. Although the official statement does not give investment details, WSJ reported that Skoll is the lead equity investor in the venture putting in $200 million while another $100 million would come from Reliance, Spielberg and Entertainment One. The venture is also pulling in some $500 million in debt to launch with $800 million in initial investment. For Reliance, this would mark an extension of an existing high profile investment in DreamWorks six years ago. “We look forward to the combination of Steven’s passion and integrity with Jeff’s unique socially conscious vision to create uplifting and quality content to entertain global audiences,” Ambani said. The group's investment in this venture is through its privately held arm Reliance Entertainment. “We are of like minds, as our many collaborations have illustrated, with a mutual commitment to quality, premium entertainment and global vision,” said Spielberg. Much of Spielberg's work would now be through Amblin Partners. Michael Wright and Jeff Small, CEO and president & COO of DreamWorks, respectively, will lead Amblin Partners sporting the same roles. In addition, Amblin Television, the film and TV production firm, will now become a part of Amblin Partners. Co-presidents Justin Falvey and Darryl Frank will continue to run the affairs. They will join Kristie Macosko Krieger, producer and Holly Bario, president of production on the film side, to complete Amblin Partners’ senior management team. Intentional media corporation, Entertainment One aka eOne will handle the direct distribution of Amblin Partners' films on a multi-territory output basis in Australia, New Zealand and Spain as well as the United Kingdom and the Benelux. Meanwhile, Participant Media will remain a separate company that continues to independently develop, produce and finance projects with socially relevant themes. David Linde, CEO of Participant Media, and participant’s narrative feature team, led by executive VP Jonathan King, will work with Amblin Partners to develop and produce specific content for the new venture. DreamWorks Studios and Participant Media have collaborated on many popular films such as Lincoln and The Help. J.P.Morgan Chase structured and arranged the $500 million debt syndication together with Comerica Bank, which served as co-lead. Other financial institutions involved included Sun Trust Bank, Union Bank, City National Bank and Bank of America, among others. J.P.Morgan Chase and its predecessors have financed DreamWorks Studios since its inception in 1994.